Tiger Woods 12 Wii introduces the Balance Board to its golfing swing. MotionPlus, excellent online play and improved visuals, make the Wii version hard to beat -- even by the PlayStation 3 Move edition. Tiger Woods 12 manages to squeeze out a few more improvements on Tiger Woods 11's already full rostrum of options. Like last year, MotionPlus allows the game to capture a one-to-one backwards and forwards stroke, but now it adds the Balance board into the swing equation for the first time. You stand on it to make your shot and the game then determines how your balance effects your stroke. In the Arcade mode you are simply awarded points to unlock power shots. In the Pro mode your balance affects your shot. You must maintain good balance during your swing to achieve full power. To get the most out of the Balance Board and MotionPlus controls there is a new practice facility that offers a more fully featured range of distances, holes and bunkers than before. New content this year includes the Augusta National Golf Club and the Masters Tournament. 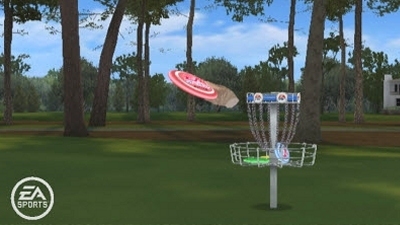 Disc and Mini Golf are back again, which both get an online mode for the first time as well as new courses. Driving: Back swing, follow through, club rotation, point of contact and path of swing are all used to control how hard to hit the ball. First Person view is joined by Balance Board controls to create greater realism. Putting: As in Tiger Woods 11, precision putting combines a dialled in power from back swing with a weighting from follow through. This also takes account of the direction of the club face on striking the ball. Balance board controls are used as an extra parameter to calculate power. Chipping: As with the fairway shots, chipping also takes advantage of an accurate reading of back swing and follow through, as well as hitting path and club-ball point of contact. Balance board controls are again used as an extra parameter to calculate power. General: Tiger Woods 12 adds the Balance Board input to MotionPlus and results in the most realistic game of golf on any system. Driving: Back swing, follow through, club rotation and path of swing are all used to control how hard to hit the ball. For the first time the swing also affects the point of contact with the ball meaning you can really stab or scuff strokes to caress the ball into position. New this year is a first person view of the club when driving which adds realism. Putting: Precision putting combines a dialled in power from back swing with a weighting from follow through. This also takes account of the direction of the club face on striking the ball so you can push or pull the put. A classic putting mode lets you dial in the putt strength and reduces the affect of the club face direction. Chipping: As with the fairway shots, chipping also takes advantage of an accurate reading of back swing and follow through, as well as hitting path and club-ball point of contact. It feels solid and certainly makes shot selection more accurate. General: The consolidation of MotionPlus control seems to bring an added degree of consistency to Tiger Woods 11 which builds confidence in the mechanic. It also does a good job of suggest which parts of the swing to turn off as you play - when you are obviously struggling. Driving: Both follow through and backstroke can now be used to control how hard to hit the ball. Stabbed and pulled strokes can be used to caress the ball into position. 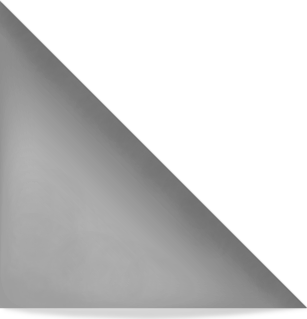 Fade and draw are also perfectly detected by the MotionPlus plug in enhancement to the Wii-mote as shown in the real time graphical readout. General: Added atmosphere comes from being able to see spectators rather than just hear them. Also the simulation of other golfers in tournaments means that you can overhear cheers resulting from their birdies on neighbouring holes. 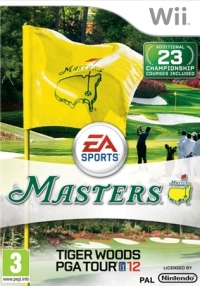 The inclusion of 27 courses in the Wii game also compares favourably to the 16 out the box for the PS3/360 version. Driving: Refined to enable you to adjust the vertical trajectory of the ball. A club tuning feature enables you refine your hitting style and has the option for the game to correct the draw or fade resulting from the players swing. Putting: Simplified to be a triggered action rather than a full swing simulation. Pace is set by pulling back the club then triggered by forward motion. You can also now set how much you roll the putter over the face of the ball upon striking - simply by holding B and pressing left/right on the D-pad. Chipping: Is roundly improved with a more controllable back swing that enables players to better estimate the power of shots. Players can take their time adjusting the point at which they want to start the forward swings. General: Prolonged play reveals that putting sometimes delivers unaccountably less power than is suggested by the slope and strength of the shot. Graphically this is the best looking Wii version of the game. There is an excellent training mode that takes you back to scenarios where shots were previously dropped and enables you to practice a correct shot. Driving: Solid and more consistent than previously, although some players find they always hit a draw or fade shot. Irons: Often found to be lacking in distance here and overly affected by wind. Chipping: Strength is notoriously hard to gauge accurately, so much so that many players aim to avoid the chipping game altogether. Putting: Full simulation of putting swing, pull back and follow through combine to result in the pace of the ball. General: Prolonged play can uncover the odd bug, such as sinking an eagle putt from the fringe result in an out of bounds, or adjustments during chipping resulting in the lie to jump back to 100%. The game offered a novel sit-down swing mode that enabled players to sit down and play the game. Driving: This is the best aspect of this iteration and offers the first full golf game to enable control of draw and fade by the motion of the swing. 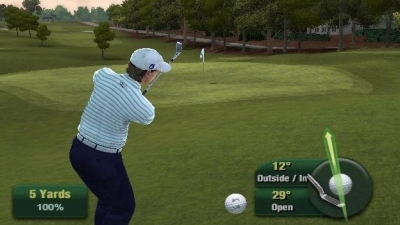 The game did suffer from phantom swings where a shot was triggered without the player's intention, turning off vibration was supposed to help this issue for some, whilst other simply turned on mulligans to enable them to retake the shot. Irons: Consistency of Iron strength is often questioned which probably relates to the difficulty found when trying to hit a lower powered fairway shot. 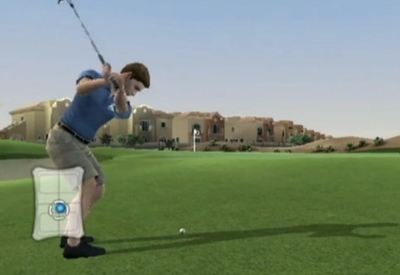 Unlike later versions the swing has to be one action, which makes achieving a short back-swing particularly difficult. 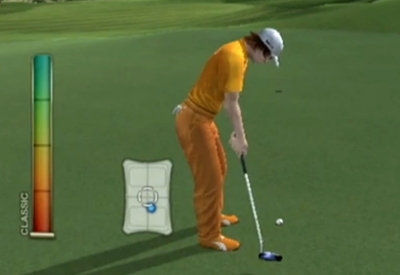 Putting: Twitchy putting is often hard to trigger with the forward stroke, a problem shared with Wii-Sports Golf. Players with patience to repeat their swings won't find this a problem, but others may become frustrated. The result of theses controls is a game that feels natural and responsive to play. With the inconsistencies resolved and fidelity dialled right up Tiger 12 responds to small improvements in grip, stance and follow through. The Wii-mote needs to be handled with respect, and feels more like a sporting implement than a plastic controller. Tiger Woods 11 is one game where waggle makes sense - and with MotionPlus there's a fidelity and sense of touch that is almost magical. 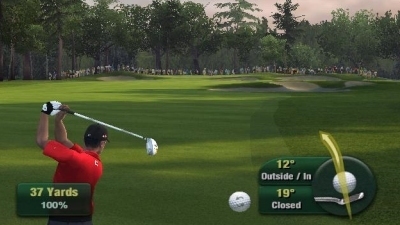 The game that wraps around the controls fleshes out the experience with visuals and commentary that speak as powerfully of the game's appreciation of golf as the controls. Spending an evening with friends playing this leaves you with the feeling you have really been playing a game together - rather than wasting time with a videogame. Add in some of the excellent third party peripherals, like the Bad Chicken club extension and you have a very realistic rendering of the real thing. 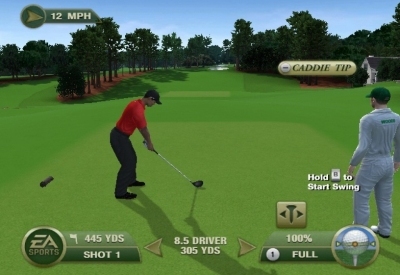 The All Play controls are still present and mean that novice or young players can still enjoy playing Tiger Woods. Intermediates will appreciate the nailed down consistency and improvements in visuals and atmosphere. 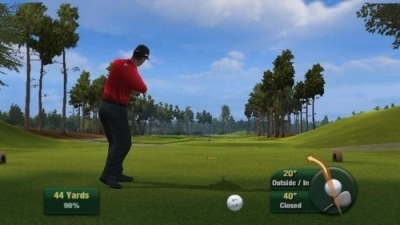 Experts will revel in Tiger Woods 12, and even the most experience will need plenty of time to master the advanced swing options and Balance Board stance tracking. Even with the Move enabled PlayStation 3, the Wii version still feels like a more mature and reliable experience.